A PSA test measures prostate-specific antigen, a protein found in a man’s blood. 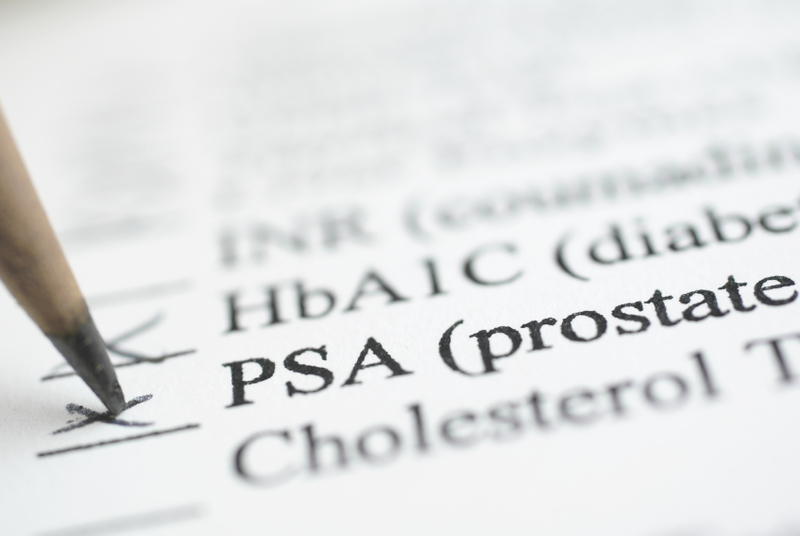 While PSA levels tend to fluctuate, higher PSA levels may sometimes be an indication of prostate cancer or other conditions such as enlarged prostate. PSA testing is usually done in conjunction with a digital rectal exam (DRE). The PSA test is controversial as research has shown it does not significantly affect prostate cancer outcomes and may in fact lead to “overdiagnosis” and “overtreatment.” The test may detect tumors that are not life-threatening and patients may undergo unnecessary surgery or radiation therapy, not to mention mental and emotional anguish, and side effects of treatment, such as bowel problems, erectile dysfunction, and infection. It has also been shown that finding prostate cancer early doesn’t necessarily help a man with an aggressive form of the disease. Nonetheless PSA testing may be appropriate for certain men in certain age groups. An elderly man with limited life expectancy or who may not be able to withstand prostate cancer treatment, for example, may not be a candidate for PSA testing. For those whose doctors recommend PSA testing, the test itself is quite simple. It requires a blood sample taken from a vein in the arm. For 24 hours prior to the blood work, you will be asked not to ejaculate. Depending on the results of your test, additional testing may be needed. Your doctor will explain the results to you and help determine next steps, if needed. Because of the limitations of PSA testing, significant research is taking place to develop more specific testing and variations on the PSA test. As medical science evolves, the type of test may also change.